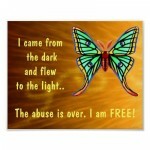 Abuse: Survival Stories is an event series created in support of survivors of psychological, physical, and sexual abuse. We aim to empower survivors by creating a platform for them to speak on their experiences instead of suffering in silence. This event series has been created not in the name of the war against abuse, but in the name of peace and healing for all. This co-ed event is free to attend. Location: the auditorium at the Victoria Village Library (184 Sloane Ave., Toronto – Map and Directions). 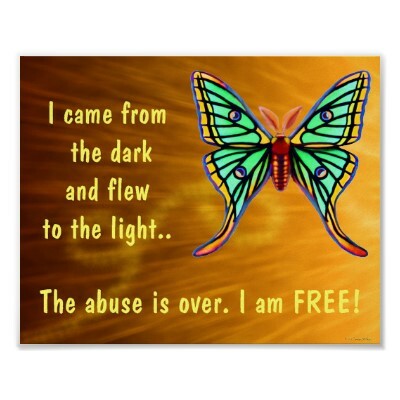 At each event, three survivors of abuse speak on their experiences, and then a host of talented spoken word artists and presenters share uplifting pieces and ideas which focus on healing and the power of expression. This event series has been created not in the name of the war against abuse, but in the name of peace and healing for all. 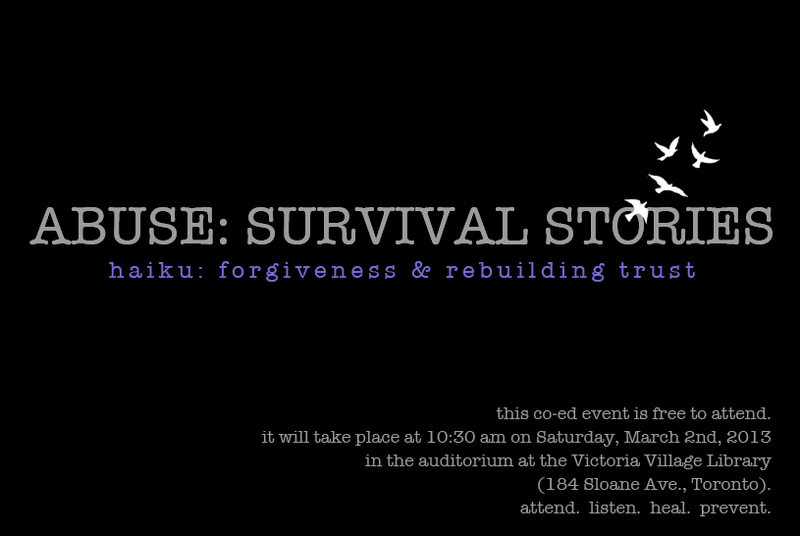 We believe in the power of artistic expression as a therapeutic medium, so we’d like to invite each attendee to compose an original Haiku poem on the topic of forgiveness and rebuilding trust, or on any aspect of abuse. 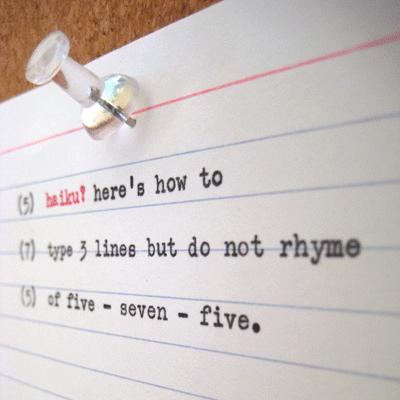 Each Haiku should be three lines long: the first line must contain 5 syllables, the second line 7 syllables and the third line 5 syllables. Please come prepared to read your Haiku poem during the sharing circle portion of the event. Space is limited and admittance will be on a first come, first served basis. As a suggested donation, please feel free to bring clothing to donate to 3 Little Birds, a wonderful movement dedicated to helping survivors of abuse. Food will be sold by (Plum Bun Bakery ). You are welcomed to bring a packed lunch.